When it comes to running a business, you want to stand out and be outstanding. 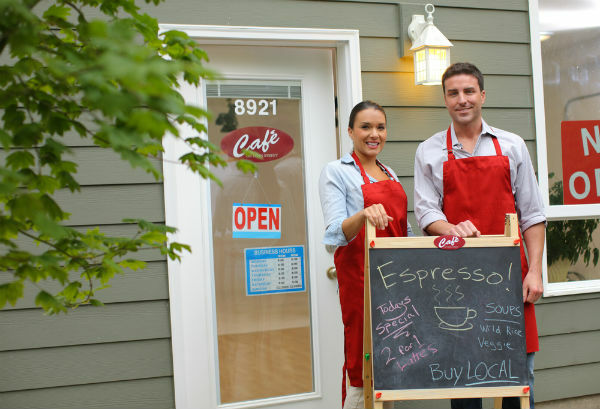 As a small brick-and-mortar business, you can easily be lost in a crowd of others. Potential customers driving down the road may only see a blur of shops outside the car window. You’ve got to clear the vision by making sure your company stands out. Address these three key areas to help you stand out so you are well on your way to be outstanding. Take a fresh look at your place in both daylight and in the dark. Even if you are not open in the evening, you don’t want to miss the marketing potential of traffic passing by. Use prominent address numbers. We’ve all creeped along trying to find any commercial property on our route with a number. It can be very frustrating even with the use of a GPS. The GPS says you’ve arrived and you are still trying to find the building. Make sure you have visible signs. Do you need to replace one or repaint one? You will typically need more than one sign as one curbside and one on the face of the building is just a start. If you have a side of the building showing, this is a great spot for a mural or your own billboard. Investing in lighting is great marketing. Make sure your signs are lit or use spotlights to shine on them. If you have lit signs, keep them maintained and working. Light store windows with displays. Light up posters or signs in your windows. A business can really shine at night, making customers take notice and want to check it out. Don’t stop at the basics of address numbers and a sign. Just like curb appeal boosts the value of your home, it can boost your business. Match your curb appeal to your business image. If you are a clothing boutique or art gallery, you might want to standout by being a bit wild and funky. Or if you are a professional company, such as an insurance agency, you want to look tidy and professional. Clean up the outside of your property. Wash windows, pick up trash, mow grass and trim hedges are some good places to start. Paint the front of your building or clean it and paint the trim with a fresh coat. Add items to increase curb appeal such as awnings, welcome mats, a bench for customers to sit on and potted trees or flowers. When things are halfway done, it makes your customers wonder if your work for them will be half-way done. So often, good intentions reign. You were going to hang a sign, fix a broken display or paint that door but it didn’t happen. Think like a Boy Scout and be prepared. Stay organized and on top of maintenance by creating an organizational kit, much like you would create a first aid kit. Stock up on simple repair items to keep on hand so you can immediately fix something that needs attention. A simple repair kit should include items like a hammer, plyers, screwdrivers, tape measure, scissors, labels, pencil and a permanent marker. Add a collection of items used as fasteners from glue to tape. VELCRO® Brand fasteners are a great addition to your kit. They’re strong enough to hold and reposition signs, and can be used for a multitude of organizational tricks around your store. Pumping up curb appeal and getting great signs is a business booster. Keep from going static by using visual marketing to continue to gather interest. Use changing marquees to catch the eye of potential customers. Be interactive and share invitations for interaction on social media or participate in contests. Change out seasonal banners, posters and window decals. This is where your organizational tool kit comes in handy so you have what you need for changing displays in a timely manner. Marketing is often seen as placing ads or staying on top of social media. Both are good endeavors, but remember, marketing your company includes the whole visual package. How you look and how you keep things maintained says as much about your business as your ads. Lea Schneider is a nationally recognized organizational expert and journalist who writes for The Home Depot. 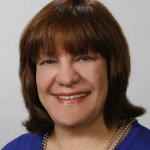 Drawing on her experience with clients, she provides practical advice on topics such as using VELCRO® Brand fasteners to organize almost anything and creating an emergency fix-it kit to repair a broken item right away.